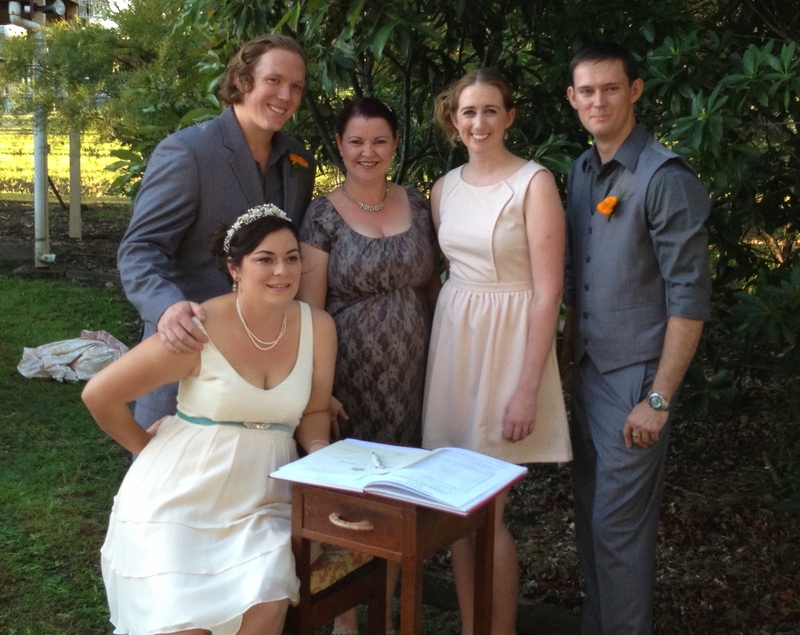 Tamzin from Cherish Ceremonies is everything and more that you could ask for from a celebrant. From helping pick the exact wording, to fixing bridesmaids dress, answering last minute emails and fixing paper work, reassuring you at the right times, making sure the mother of the bride was looked after, a smile when you need it and much needed advice on how to stop the tears from ruining your make up during the ceremony. Such a warm and loving lady, I felt unbelievably assured and glad that she was there with us on the day. If you are looking for a celebrant that will not just deliver your ceremony but will involve her self fully and be genuinely happy and excited for you look no further, Tamzin is the right lady for you. When my husband and I have kids or need any other ceremonies performed, rest assured that we will know exactly who to call. Thank you Tamzin! Please continue to be the beautiful person that you are. Thank you again, you really were amazing, Please thank your husband Elton as well, he was awesome and his music playing skills were much appreciated. Hello Lynette, We are very pleased with the ceremony you sent for us to read. You captured the essence of what we are looking for. 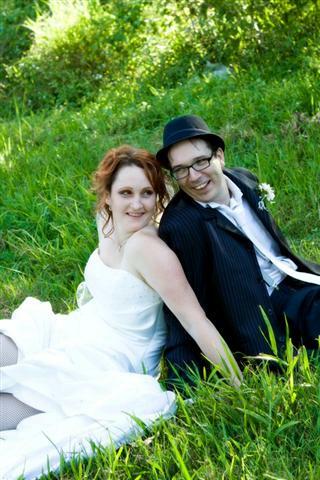 Lynette did a fabulous job and made planning our ceremony so easy. I would recommend her services to anyone! Not just for wedding but for naming ceremonies too – she was just great and made our day even more wonderful!! 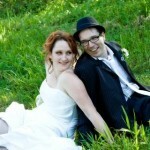 Hi Lynette, Thankyou for the beautiful wedding, more than a month later and we are still very excited to be married! Dear Lynette, The day was great fun, and we were both very relieved to have it over. We had lots of comments on how beautiful the ceremony was, and certainly were very pleased with all your help and suggestions. Dear Lynette, Thank you for helping making our day so perfect. Your helpful and warm guidance made the ceremony the easiest part of our planning. From the first contact we had, we knew we were in safe and capable hands. We got the best of both worlds as you gave us all the information we needed to make sure that our ceremony was unique and special. Also, knowing that you had read each of our vows before the day took the stress out of worrying if we got the words to express our love right! As the photos show – you looked as happy on the day as we did and we are eternally grateful to you for sharing your light with us. Mr and Mrs Stewart and Katrina Davidson. Hi Lynette I was just writing to express how wonderful our wedding ceremony was. It was absolutely perfect, and I have had many many comments saying it was the best one everyone had been to. This, I believe was due to the personal touch you put to it, and the fact it was not like any other service we had heard or been to. I listen to the video & it makes me cry all over again, I honestly could not have wished for anything better. Your amazing with how you listened to us, and wrote the things that really mattered in our lives. I thank you so much, and wish you even more success in the future Lynette. 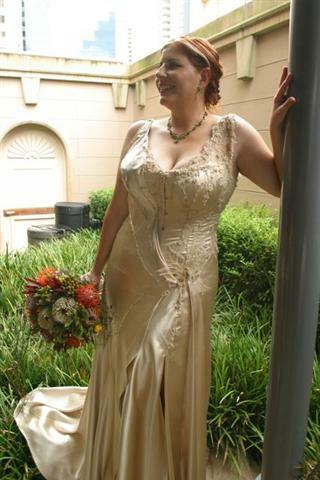 Dear Lynette, I hope this email finds you well and thank you again for a wonderful day, we couldn’t have been happier with the service, it was great. Hi Tamzin, I just wanted to say thank you so much for Hugh’s (naming) ceremony on Sunday. You did a wonderful job and we all had a really lovely time. Your effort and organization was really appreciated! Again, many thanks, we will be recommending you!